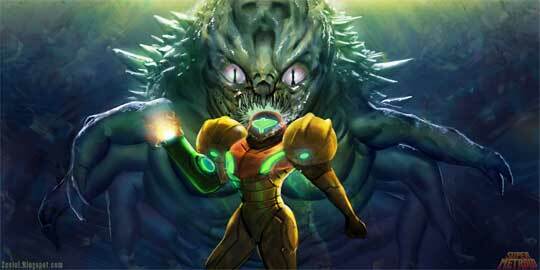 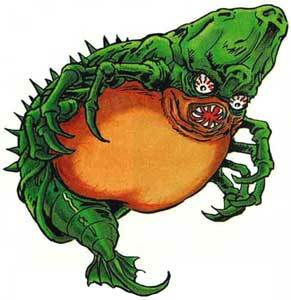 Draygon is one of the five bosses in Super Metroid (1994). 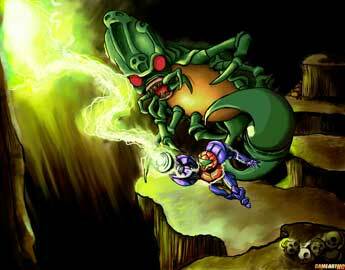 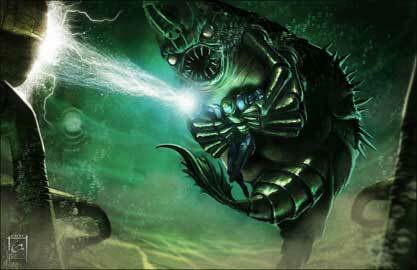 It is found in one of the last rooms in the Maridia sector and can be defeated pretty easy if Samus destroys the wall cannons and uses her Grapple Beam to shoot electric sparks directly into Draygon if it grappled her before. 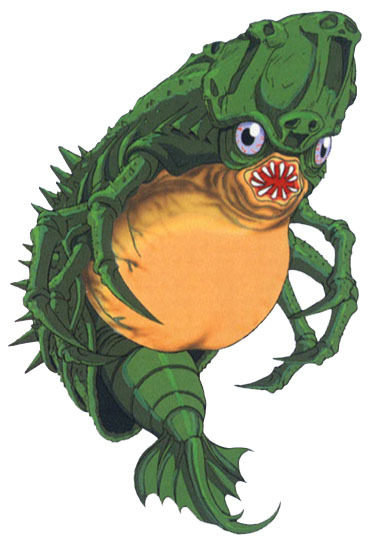 Draygon did not appear in another game so far. 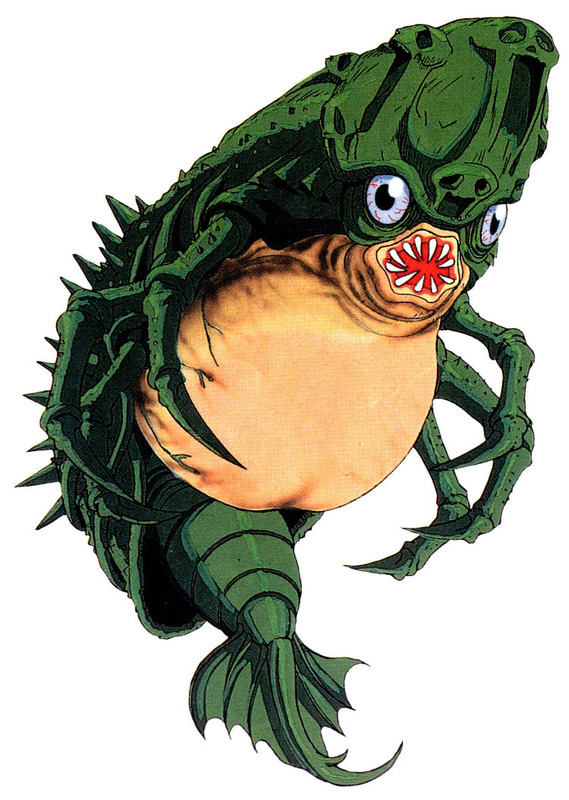 Draygon was illustrated for our tribute to Super Metroid in 1994 when the game celebrated its 20th Anniversary in April.